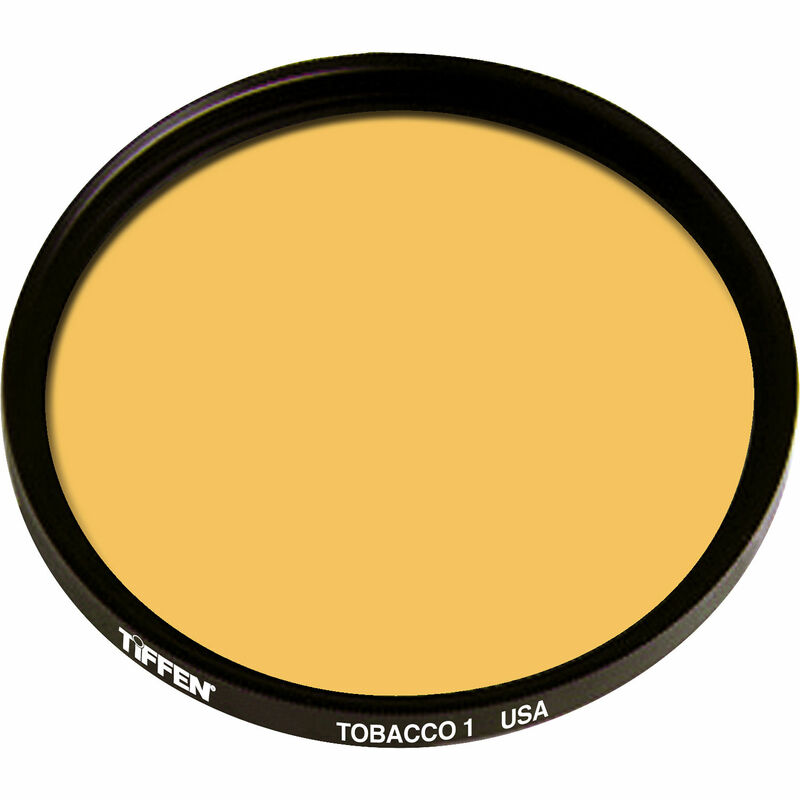 The Tiffen Series 9 1 Tobacco Solid Color Filter adds a warm, brownish-yellow coloration across the entire image and helps to subdue overly bluish casts. The solid color design makes this filter well-suited to pairing with other filters for further control over the appearance of imagery. The 1 color density provides less tobacco coloration than the 2 density filter. This filter is made using ColorCore technology, a process that involves laminating the filter substrate between 2 pieces of optical glass, grinding flat to a tolerance of 1/10,000th of an inch, and then mounting to precision metal rings. It is compatible with Series 9 filter holders. Tobacco-colored filter provides a warming effect to your images and adds a brownish-yellow coloration.